Being a parent is so emotional. It’s hard enough navigating the tired days, the stressful, “too-busy” days….but the days where your kids are battling emotional issues outside of your home? Those can really take their toll. If only I could swoop in and rescue my kids on these days. For it is excruciating, to stand by, and see them hurting. Whether it’s someone who verbally hurts them, an unfair situation that occurs, or feelings of inadequacy, those are truly pivotal moments in our children’s lives. As are, how we handle them, as mom and dad. It would be so easy to run in and rescue my kids. It would be easy to shelter them from the bruises that come from others. And it would be preferable to my heart. But it’s not what our kids need. We may not always have the answers to help. But we do have ideas. We have compassion. And we can believe in who our kids are. Those tools can be EVERYTHING to help them get through those tough seasons. The only promise we can give them, is that we will walk through this time with them. That we will listen, and we will love. It doesn’t help to hurl insults on another party. To remove our children from the situation. (Unless they are in danger emotionally or physically.) It doesn’t help to address things FOR them. No. We need to give our children tools to speak up for themselves. We need to help them learn what “higher ground” is, and how to internally, and emotionally protect themselves, even when things aren’t fair. These are the best things we can give our precious kids. So, mom, dad? 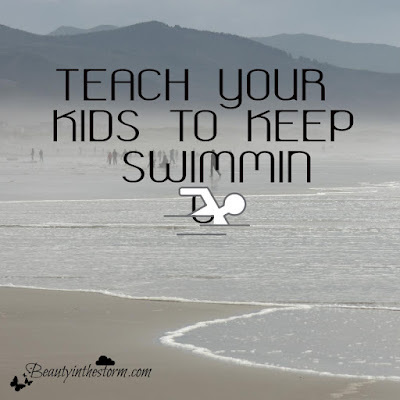 Teach your kids how to keep swimming. 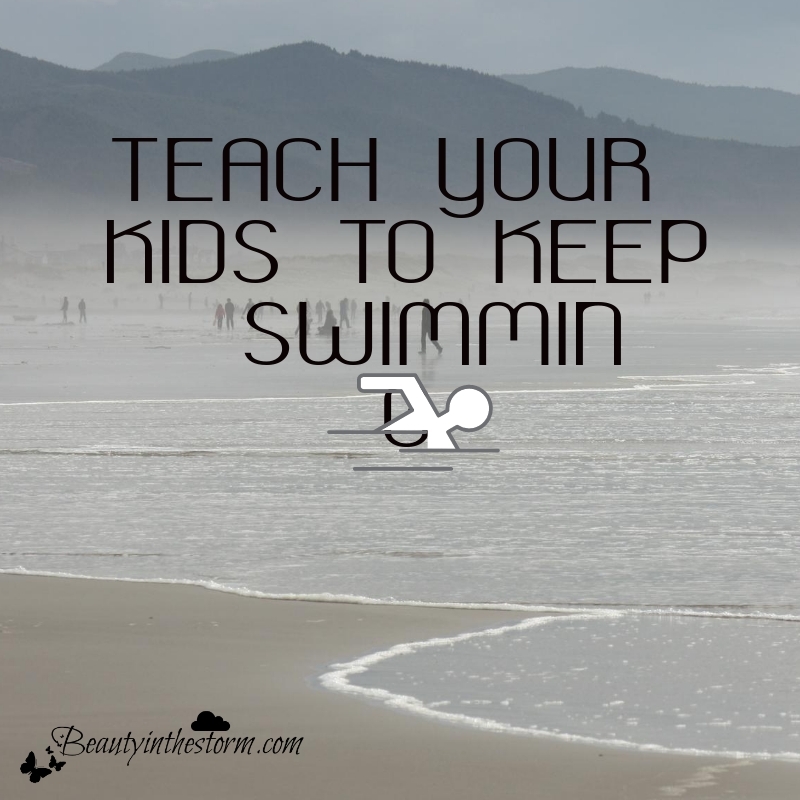 Teach them how to wade through those currents and rough waters, so that they don’t risk drowning. We can’t always be there for them. We’ve got to help them learn how to be there for themselves.